Feelings are something inherent to the human being; Happiness, sadness, empathy, excitement… throughout life, a person experiences those and other emotions that will determine one’s personality and who they are. Actually, there are people who pass their entire lives trying to find out who they really are. This issue is always difficult, it doesn’t care about age, but it is especially complicated during adolescence. It is the exact subject Life is Strange targets. The delicate moment, the period when you are trying to discover who you are and what is your place in the world. “Trying to feel comfortable in your own skin while dealing with insecurities, wanting to fit in and being fixed in the crosshairs of bullies – adolescence can be a tough time for a lot of people. 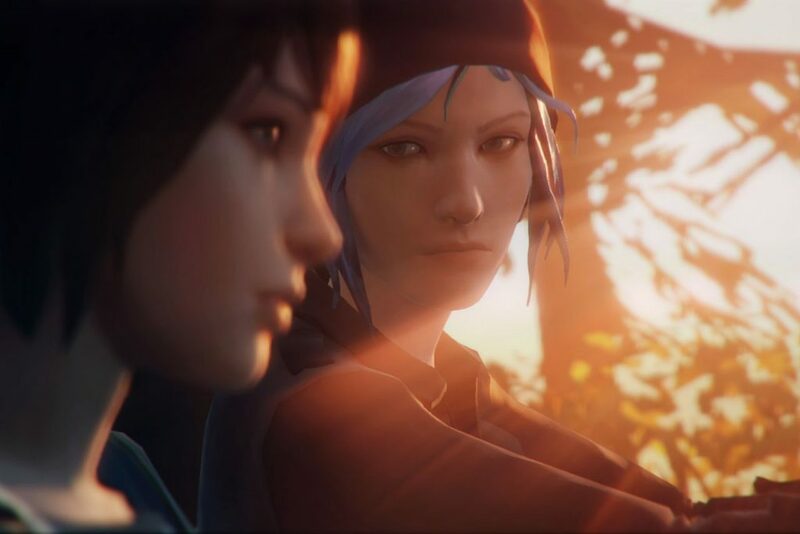 Life Is Strange explores issues most games wouldn’t even dream of touching – finding life so bleak you want to take your own life, discovering your sexuality, depression and abortion, to name but a few.” – Dion Dassanayake. In Life is Strange you play the role of Max, a shy, 18-year-old girl who has returned to her hometown to study photography. Early in the game Max discovers not without surprise, that she has an amazing ability, rewinding time. What this actually means and what you do with it, is entirely up to you. You can save people’s lives or you can do absolutely nothing. A simple choice if you are thinking about a friend but…what if the person who is at risk harmed you, what would you do? In the game, Max uses this newly discovered ability to save the life of a girl and from then on, her mission is to help people around her (if that is your choice) and solving the mystery of a missing person. “Like Mass Effect and the Telltale Games titles, Life Is Strange has branching dialogue options where you choose how you want to interact with other characters – but your actions have consequences. Do you help the girl in your class being bullied when you see someone picking on her, or do you just watch and take a picture? All these actions have consequences, many of which you won’t realise until much further on in the game.” – Dion Dassanayake. The characters are so well developed that you will feel like you are living in the real world, talking to real people, listening to their problems, helping them or not, the choice is entirely yours. “In another example of how strong the characters are, Chloe reacts in a very human way to Max’s return, the pair have a complex friendship – anger at abandonment eventually being replaced by the bond they have long shared.” – Dion Dassanayake. Ultimately you will live in one of the most vibrant game worlds ever created. Developing a game with branching dialogue options and a complex story? 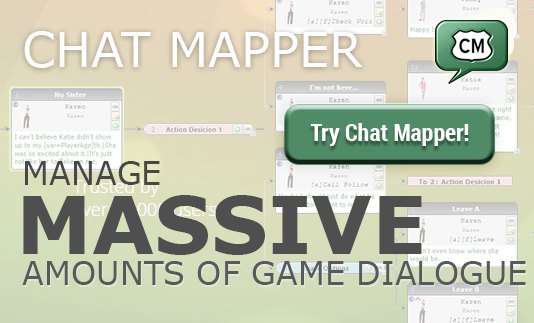 Try ChatMapper, the most powerful and easy solution for your game! Read the full article by Dion Dassanayake.